With the mega match happening this weekend coming at Battleground for the WWE Title, I wanted to look back at the top 5 triple threat matches of all time. Could The Shield Triple Threat exceed the expectations and end up on this list later on? Time will tell, but for now let's look at the top 5 Triple Threat matches (triple threat tag team matches not included). -Now I get it.... this isn't as well known as the Summerslam 2000 triple threat with Triple H, Rock, and Angle, or Bryan vs Batista vs Orton, and I'm technically cheating, because I have it tied. However, this is truly one of the best matches I've seen and not just in a Triple Threat sense. Rey, Angle, and Benoit had amazing chemistry and this match was a testament to it all. If you've never seen this match, look it up and enjoy. -This will always make lists about triple threats and it could be a bit higher if I'm being honest. However, this match lands at the 5 spot for a tie, and it is something special nonetheless. Brock, Seth, and Cena all go out and put forth a great effort, making this one of the best matches I've witnessed in the last 2 years hands down. Seth takes the pin here and Brock wins the match, but a great match period and one of the best triple threat matches. -It's not often you'll see the same match participants on a list twice. 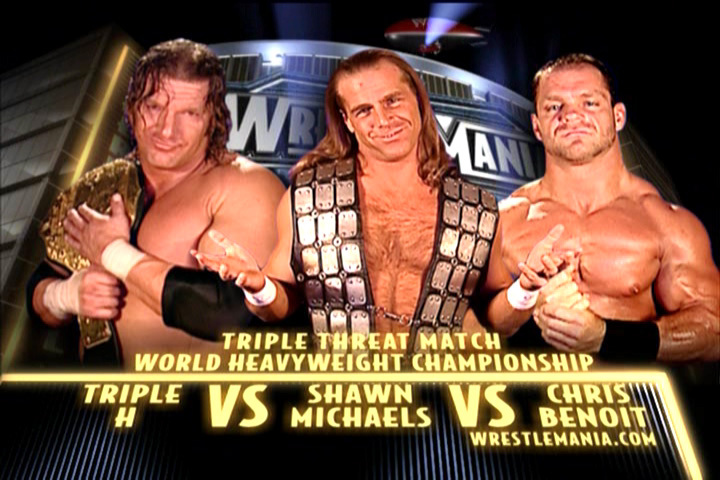 However, this match is absolutely another classic between three legendary performers. While not as epic as their first triple threat encounter, which you can find later on this list, it's still one of the best and almost on par with the first match. 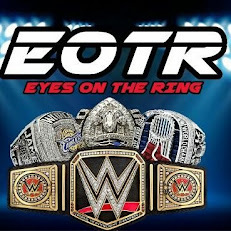 Benoit wins this one as well, and if you watch this match without watching the rest of the PPV (specifically Orton vs Foley), you might rank this one top 3 yourself. -Some might say this is a bit higher than it needs to be, but this is perfect. This match is likely the greatest match to ever feature Big Show and it's because he had ring generals like Angle and Lesnar to lead him through it all. Brock and Angle interact very well with each other in this match, and though I was shocked to see Angle walk away with the title, the match was definitely dope and would restart the big Angle vs Brock feud for the summer that spawned more classics. This was the flame to reignite it. -Another classic with Angle. Angle is probably one of the best wrestlers of all time period and his run in triple threat matches attests to that. This one is very close to being no. 1 as the stars align and everything works out perfectly. Taker is great here, Rock is great here as well, and Angle as usual does what he does best. Rock walks away with the title and a huge win, winning one of the greatest triple threat matches of all time. -This is the ultimate. I think this is one of the greatest WrestleMania main events ever. Might be top 5, but it's certainly top 10. It is certainly a top 10-15 Wrestlemania match of all time period, if not better. Everything works here. Benoit and his journey culminates in such a perfect fashion, while HBK does what he does best, and Triple H manages to keep up with two superior wrestlers. Benoit wins and makes Triple H tap to end a huge Mania and a big moment that has been attempted to be erased but is still a great scene to witness. Benoit may have ended his life in a horrible manner, but this match is his greatest achievement in the WWE and the greatest WWE Triple Threat match ever.